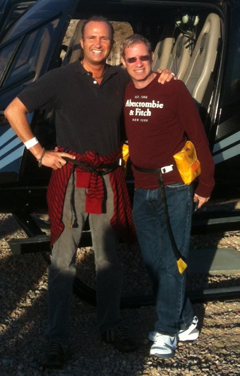 There are few greater joys than to share in a friend's success. For us, Ira Neimark is more than a customer, he has been a role model. His prior book was used as a road map for how to create an extraordinary experience for our customers, by mirroring the former Bergdorf Goodman CEO's decades of devotion to customer service and retail excellence. 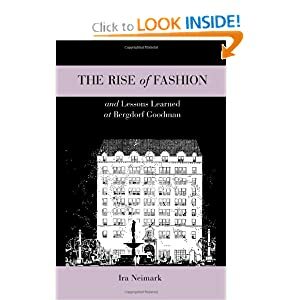 Mr. Neimark's newest book, "The Rise of Fashion and Lessons Learned at Bergdorf Goodman" is now available at Amazon.com. Published this month by Fairchild Books, the tome features short stories about his ascent from high school drop-out to the chief executive of Bergdorf's, which he transformed "from an old, dull, expensive, intimidating store to a young, exciting, expensive, intimidating store." He recounts his store experiences, and impressions of designers like Donna Karan ("When she had a small business, small ego—now she has a large business"), the Fendi sisters ("Always looking for the best deal, usually found it") and Michael Kors ("Central casting for talent and good looks"). Mitch Goldstone, left, president and CEO of ScanMyPhotos.com. In 2008, Mitch Goldstone’s company was in trouble. Originally a boutique retail photo center, California-based ScanMyPhotos.com was losing business because of the shift from film to digital photography. Goldstone had transformed his company to digitize photos, slides and negatives, but he needed to expand his client base. “I saw a commercial for the Postal Service’s flat-rate shipping,” said Goldstone. “It looked like a great way to serve more customers efficiently and affordably.”Goldstone later attended a business conference where the Postal Service had representatives available. “They told me all about flat-rate shipping and later sent supervisors to tour my facility and help modernize my operations,” he said. Today, ScanMyPhotos.com customers place orders online. Goldstone sends them Priority Mail Flat Rate Boxes — which customers fill with photos for scanning and mail back to the company. After each job, Goldstone returns the completed order using Priority Mail. ScanMyPhotos.com covers all shipping costs, and each job takes only 2-3 days to finish. ScanMyPhotos.com now serves 230,000 customers, has more than tripled its staff and has moved its operations to a 6,000-square-foot headquarters. OK, I'm inspired to test Scan My Photos with an experimental batch - tired of having them take up so much space in my closet - love the idea of saving to an external hard drive and sending that to﻿ a far off relative for additional safekeeping. With the seasonal flood/hurricane threats in Florida, this makes so much sense. I'll be brave and go first - so I can then share my success with my clients. Great story! Thank you for your excellent spotlight on a service that everyone can benefit from. As a professional organizer,﻿ I love this service and recommend it to my clients. Fabulous piece! Stellar reporting! Took 7000 photos﻿ across from U.K. to have them scanned here. Brilliant! They are all online on smugmug now... Pity there is no service quite like it in the U.K. I have used the services of ScanMyPhotos and have been absolutely delighted. The scans were clear, easily usable, and gave me tremendous piece-of-mind, knowing the images were archived.﻿ I have them backed up to a cloud storage service, just in case. Thanks for running this story! ScanMyPhotos.com is sponsoring the 13th annual Mid-Atlantic Regional Conference for Professional Organizers (MARCPO) to be held Saturday, October 15, 2011. We're looking forward to connecting with more professional organizers in the Washington, D.C. Metro Area at this conference hosted by the Washington, D.C. Metro chapter of the National Association of Professional Organizers (NAPO). A corporate member of NAPO, ScanMyPhotos.com is regularly used by professional organizers and their clients to declutter and organize their homes. Do you or does someone you know have photos, slides, negatives or videos taking up space? Send them to us! We'll expertly and quickly help you preserve those memories so you can share them more easily and stay organized. As big fans of Steve Jobs and his visionary work, ScanMyPhotos.com extends our condolences to the Jobs family and everyone in the Apple family. Great story!﻿ Thank you for your excellent spotlight on a service that everyone can benefit from. As a professional organizer, I love this service and recommend it to my clients. Fabulous piece! Stellar reporting!